This beautiful little flower belongs to an annual plant that’s found all over the continental US (except Nevada), and parts of Mexico and Canada, and is considered weedy. The plant consists of a single stem about 12 inches tall, sometimes taller, usually a little shorter, whose leaves clasp most of the way around, so that the stem appears to be piercing them. The flowers are found in the leaf axils. Only the upper ones open; the lower ones are self-pollinating. I find it in the Potomac Gorge in dry, rocky areas, most often growing right up against a big rock. The genus Triodanis has only five species. Of these, two are found only in Texas, and two others are found through parts on the Midwest. 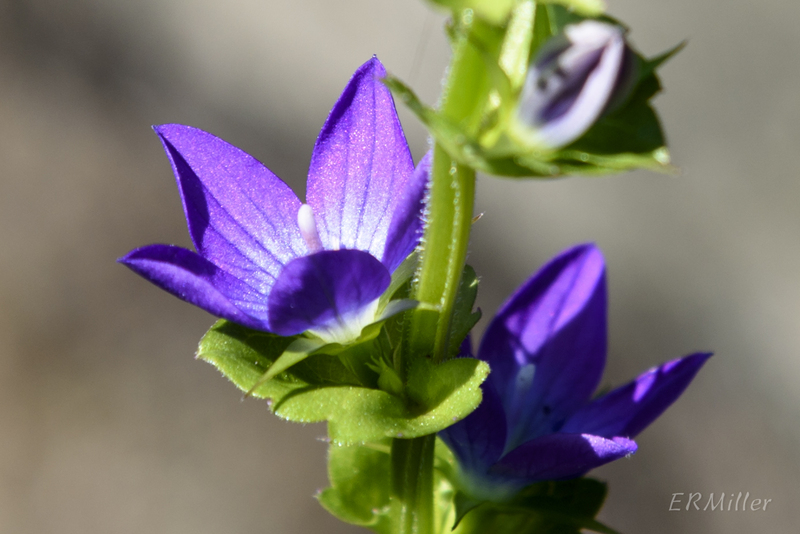 Triodanis means three toothed, and may refer to either the three-lobed calyces on the lower stem flowers*, or the fact that the seed capsules open into three parts**. 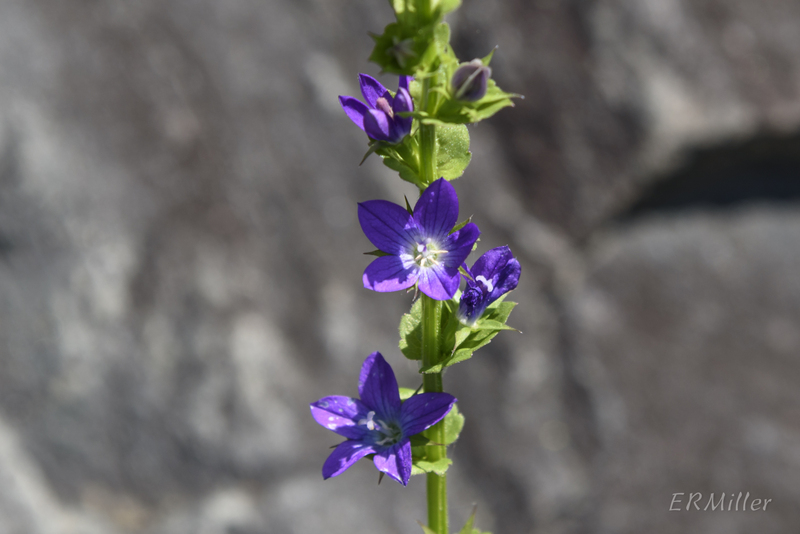 This entry was posted in Uncategorized and tagged Campanulaceae, Potomac Gorge, Triodanis, Venus' looking glass by elizabeth. Bookmark the permalink.